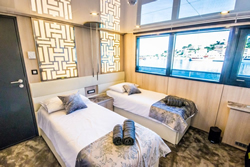 Small ship all-gay cruise along the charming Croatian Adriatic coastline and islands on the brand new lavishly designed, fully air-conditioned vessel superior deluxe M/V Black Swan with spacious en-suite cabins. 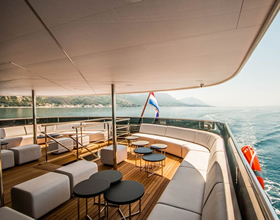 7 nights One way itinerary from Split to Dubrovnik includes exciting gastronomic and sightseeing experiences while cruising the dazzling Dalmatian Coast and visit Split, Hvar, Bisevo, Vis, Korcula, Mljet, Ston, Dubrovnik. The Black Swan is the perfect vessel for this intimate gay adventure. 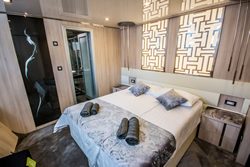 The Black Swan is a new built (2018) luxury vessel 48,40 m long and 8,60 m wide with 38 beds in 18 modernly decorated cabins. 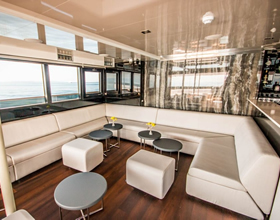 This is a customized, tailor-made journey that you will remember for a lifetime. 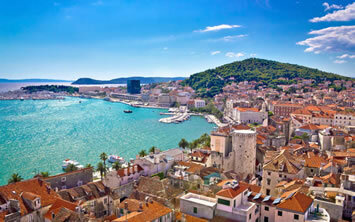 After settling in, you may walk into Split and explore the city on your own. 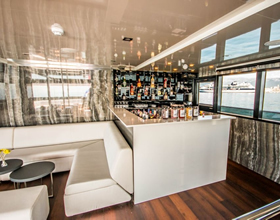 This evening aboard ship, we will enjoy a welcome cocktail reception, followed by dinner. After dinner, you may wish to take a stroll in the Old Town and enjoy a coffee in one of the many cafes. Split is lively and illuminated at night. 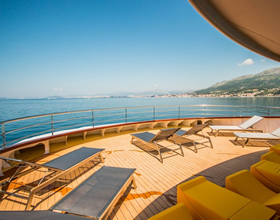 Overnight alongside in Split. Morning departure to the island of Brac where swimming is planned at the most famous beach in Dalmatia – Zlatni Rat near Bol. 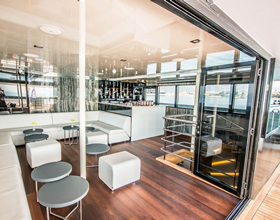 We continue to the jet-set island of Hvar with lunch on board. 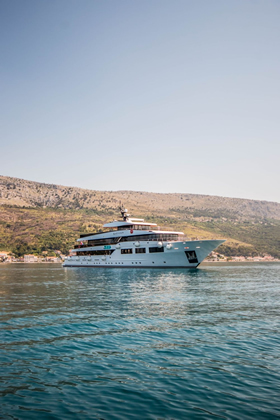 Arrive Hvar in the afternoon and join us for a tour of the town’s historical landmarks. After the walking tour, you may wish to hike up the zig-zag path to the town fort overlooking the harbor for lovely scenic views of our ship and the Pakleni islands. 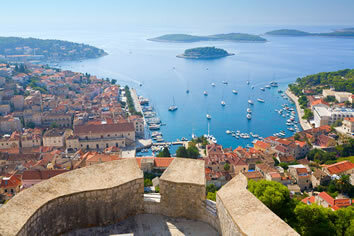 In the evening Hvar offers a great choice of entertainment – numerous cafés, bars and clubs. Overnight alongside in the port. Early this morning we cruise to the small island of Biševo to visit the Blue cave (weather permitting). Continue to the island of Vis, once a strategic Yugoslav naval base. Isolated for year, Vis is still “the Mediterranean as it once was.” Situated on the northern side of the island, Vis is former Ancient Issa, complete with ruins of Roman Baths, and a beautiful Villa Rustica (countryside villas) situated along the waterfront. Overnight in the port of Vis. Early morning departure towards the island of Korcula – the birthplace of Marco Polo. Stop for a swim in one of the secluded bays, followed by lunch on board. Our afternoon in Korcula included a guided walking tour of this enchanting town – one of the best preserved medieval cities in the Mediterranean. Remain in town and enjoy the shops, cafes & bars. Overnight docked in Korcula. Next morning, we head further south to the Island of Mljet. The legend says Greek hero Odysseus spent years on this island when he was captured by the nymph Calypso. With a local guide, stroll to the famous salt lakes in the Mljet National Park & enjoy a boat ride to St. Mary Isle to visit an ancient Benedictine monastery, abbey and a Church dating back to the 12th century. Alternatively, you can rent kayaks, bicycles, scooters to explore on your own. 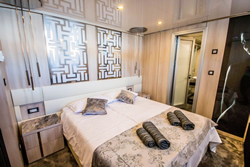 Dinner on board and overnight in port Polaca or Pomena. Departure for the small village of Slano on the mainland, a peaceful fishermen’s village and the starting point for Ston, famous for its oysters. After exploring the town’s vast medieval ramparts, a short coastal walk leads us to an oyster farm where we learn more about oysters and indulge in a special tasting of these delicacies. Transfer back to the ship for the Captain’s Farewell Dinner. Early morning departure to Dubrovnik – a unique town on the Adriatic. The special charm of this world-famous town are the buildings that have remained from the time of the old Dubrovnik Republic. Many of the monuments belong to the modest Renaissance architecture with traces of Gothic style. 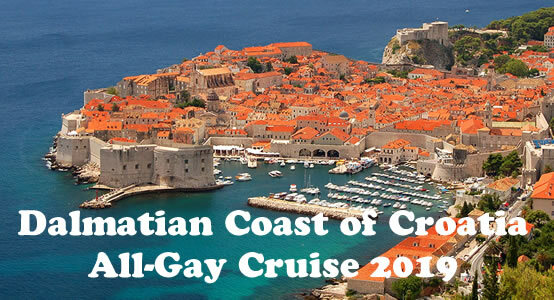 Before we tie up at Gruž harbor, we cruise along the old Dubrovnik city walls while lunch is served on deck. This is a spectacular sight! After docking, transfer to the old town for a guided walking tour of this magical town. We will follow our guide to the Old Town for a guided tour. Return to the ship and prepare for our Farewell Dinner aboard. 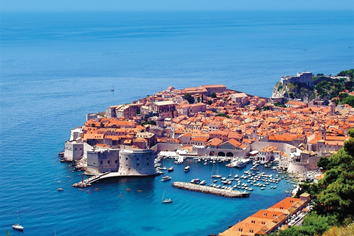 We are offering additional nights if you wish to extend your stay in Dubrovnik. Arrive Split, Croatia. Accommodations are arranged at the Luxe Hotel. 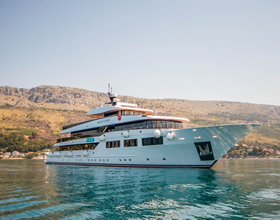 After breakfast, we depart Split for our full-day tour to Krka Waterfalls, one of the most attractive national parks in Croatia with over 88 square miles (142-square kilometers) of lush woodlands, cascading waterfalls, and travertine cliffs stretching along the banks of the Krka River. Continue on for a walk through the old city of Šibenik and hear the stories about the medieval noble town destroyed by the plague. The tour includes movie locations from HBO series Game of Thrones. Stop in gorgeous, medieval Trogir before returning to Split. After breakfast, we tour Split with our guide. 1,700 years ago, the Roman Emperor Diocletian built his palace here and today it forms the nucleus of the old town. Our guide will lead us through the labyrinthine streets and arcaded squares to see St. Duje’s (originally Diocletian’s Mausoleum), the Temple of Jupiter (today, a baptistery) and the Golden Gate. Venture underground into the rooms thought to have housed his slaves. 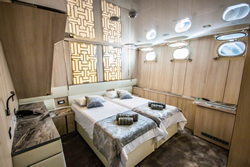 Black Swan is a new built (2018) Deluxe Superior vessel 158ft long and 28ft wide with 38 beds in 18 modernly equipped cabins. 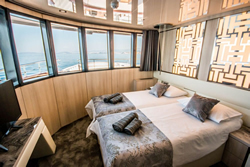 You can choose between five cabins on upper deck (some with panoramic windows), five cabins on main deck with large windows and eight spacious cabins in lower deck with port holes. 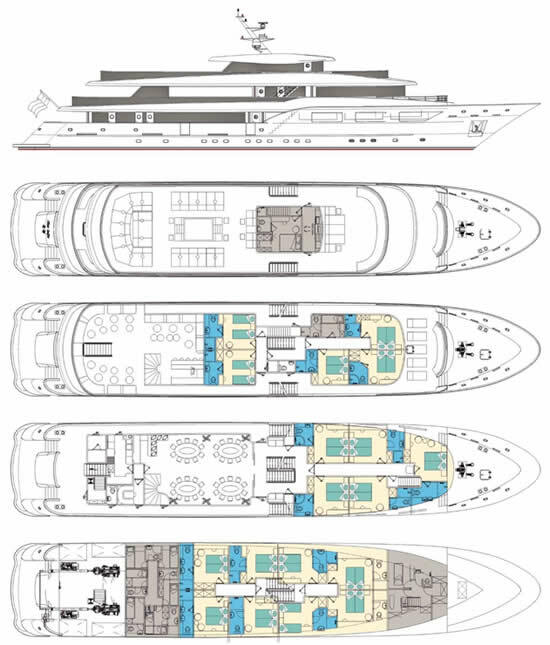 Nine cabins have twin/double bed possibility; four cabins are with double beds only; three cabins with twin beds only; two cabins can be triples. 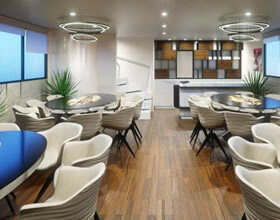 Among the cabins there is a VIP cabin located at the front of the main deck area. 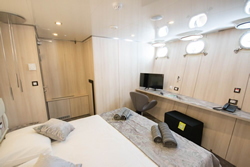 Each cabin has a leather upholstered bed with space for luggage storage and safety jackets, a comfortable armchair, onyx desk, ottoman, two nightstands, spacious wardrobe closet and panoramic windows, large windows or portholes and a special light fixture above the bed for intimate lighting. 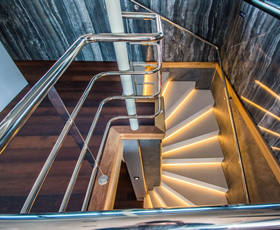 Materials used for interior fittings are solid wood, veneer, onyx, marble, leather, stainless steel and glass. Bathrooms have a spacious shower, hair dryer, black marble sink stand and a mirror across the wall. Prices are per person in $ USD. Port charges of $200 per person are additional. International airfare is not included. A $500 cancellation fee is charged for any cancellation before December 1, 2018. After December 1, 2018 all deposits are non- refundable. Web Page © Happy Travel, Ltd. Logos and Images © Katarina Line, Coda Tours, etc.